Moscow community members are invited to experience the many ways U of I students are making a difference and solving real-world problems at the 2019 Engineering Design EXPO. 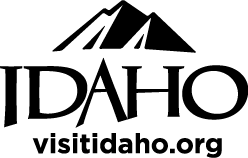 A complete schedule of events can be found at https://www.uidaho.edu/engr/events/expo/schedule. The longest-running student engineering and technological innovation showcase in the Pacific Northwest, EXPO showcases senior projects from the U of I College of Engineering’s senior capstone program, recognized by the National Academy of Engineering as one of the best in the nation. View a complete list of student projects at https://www.uidaho.edu/engr/events/expo/projects. This year’s keynote speaker is Mark Bathrick, director of the U.S. Department of the Interior's (DOI) Unmanned Aircraft Systems program. He will speak at 2 p.m. Friday, April 26, in the Vandal Ballroom of the Bruce M. Pitman Center on the Moscow campus. Learn more about Mark at https://www.uidaho.edu/engr/events/expo/schedule/speaker.